Now I am addicted to this very very orange cake!! The beauty of this cake lies in its simplicity. To begin with, this cake is eggless (love that), it has a dense moist crumb (great bite), and a nice springy feel to it. The flavour is superbly orange, thanks to the fresh orange juice and the tons of zest it it. Look close and you can see the flecks of orange dotting the sponge of the cake!! This cake is a great tea time treat, but it makes for a delicious dessert if you pair it with some warm vanilla custard. Preheat the oven at 350F for 5 minutes. Grease a baking pan with butter. I used a round 8" pan. In a large bowl sift together the flour, salt, baking powder, and baking soda. Add in the sugar. Whisk in the oil, condensed milk,orange zest, orange juice, vanilla essence, and vinegar. Blend. Pour the mixture into the baking pan and bake at 350F for 10 minutes, and then at 325F for 35 minutes. The cake should be a deep golden brown when done, and a toothpick inserted into the centre should come out clean. Cool the cake in the pan for 10 minutes and the remove from the baking pan and set on a wire rack to cool completely. This cake stays well in an airtight container in the refrigerator for up to a week!! This is a wonderfully juicy icing that adds just the right punch to this already flavourful cake!! Its simple to make and does not spoil if you choose to store the cake in the pantry and not the refrigerator. Mix all ingredients together to form a syrupy mix without any lumps. Let it sit for then minutes. Let the glace icing set completely before slicing the cake. Any good quality vinegar can be used in this recipe. This is s mildly sweet cake. You can adjust the sweetness by increasing the sugar in this recipe as per your taste. 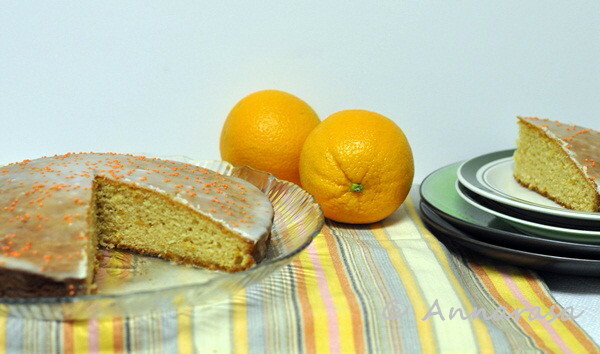 Freshly squeezed orange juice tastes best in this cake, but store bought juice can be used too. Just adjust the sugar accordingly as store bought juices tend to be sweetened. I have put lots of orange zest in the cake. Reduce as per taste. If you prefer you can replace the vanilla extract in the cake with lime juice. The icing I have made is very thin. If you prefer a thicker glace icing increase the sugar and reduce amount of orange juice as needed. Beautiful recipe.......I love orange cake too & made one last week with orange & cardamom......tastes sooooo good.....will be posting soon. Thanks for this orangey orange. 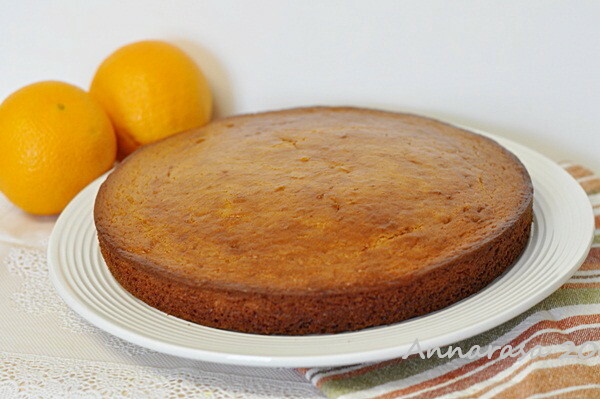 the cake looks wonderful ...very summery and light!....love the orange glaze! the cake looks amazing, luv the citrus flavors in there! 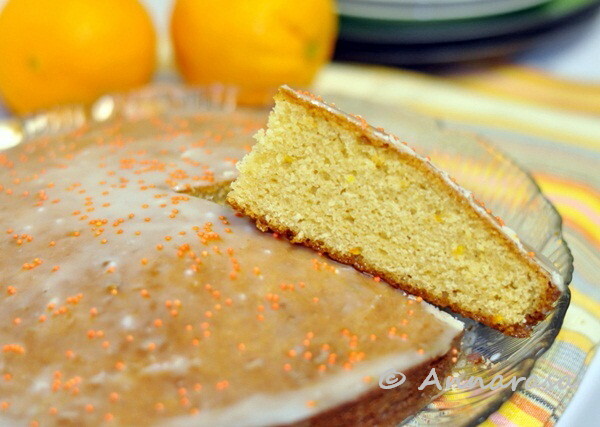 Cake looks super spongy and light,love that orange glaze..
Love citrus flavored bakes. Thanks for sharing such a good bake. congrats ...your recipe shahi tukre in ebook of indusladies is amazing..